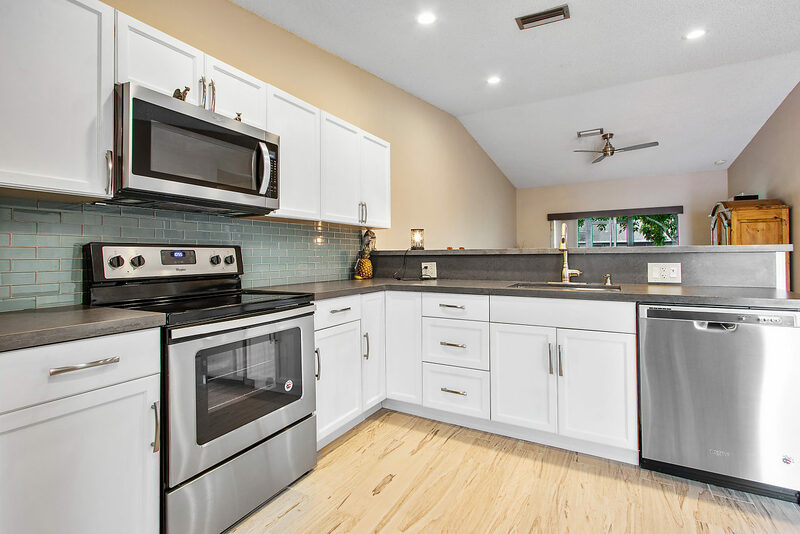 This upgraded villa features stylish new interior renovations from top to bottom including modern white kitchen with premium cabinetry and countertops, designer glass subway tile backsplash and brand new stainless steel appliances. Other features you will fall in love with include: custom tile wood-look flooring, recessed lighting, freshly painted neutral interior, mosaic tile accent wall off dining area. A private enclosed porch and open patio overlooking expansive lush garden views provides a secluded backyard feel to enjoy year round ideal for outdoor entertaining.